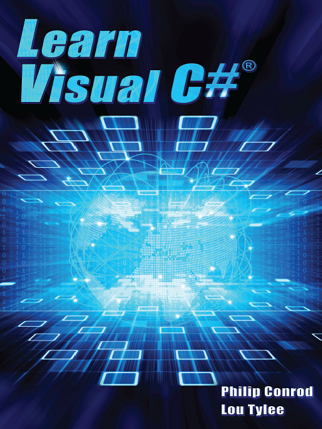 Our Visual C#® Programming and Coding Track has 4 semester long tutorials. The first semester tutorial designed for the absolute beginner programmer. The second semester tutorial is an intermediate tutorial focused on building useful projects that the student can use at home. The third and fourth semester tutorials are more rigorous Honors Level College Prep tutorials for advanced students and are designed to prepare your students for college Level programming courses. 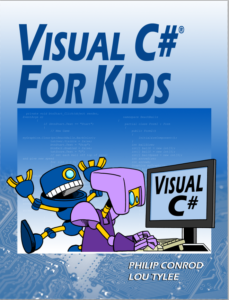 VISUAL C#® FOR KIDS is a semester long “beginning”programming tutorial consisting of 10 chapters explaining (in simple, easy-to-follow terms) how to build a C# Windows applications. The game built is non-violent and teaches logical thinking skills. This instructor led tutorial is appropriate for students in 6th-8th grade. 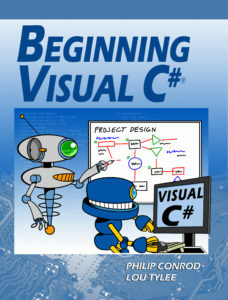 BEGINNING VISUAL C#® is a semester long “beginning”programming tutorial consisting of 10 chapters explaining (in simple, easy-to-follow terms) how to build a C# Windows application. The tutorial is appropriate for teens and adults. 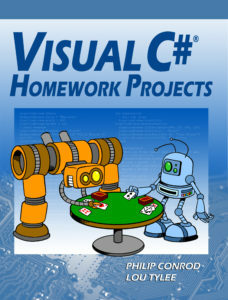 LEARN VISUAL C# is a comprehensive step-by-step programming tutorial covering object-oriented programming, the Visual C# Professional integrated development environment, building and distributing Windows applications using the Windows Installer, exception handling, sequential file access, graphics, multimedia, advanced topics such as web access, printing, and HTML help system authoring. 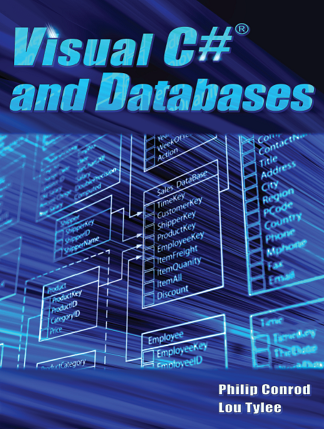 The tutorial also introduces database applications (using ADO .NET) and web applications (using ASP.NET). Students will also develop their own objects. Some of the applications built include: Stopwatch, Calendar Display, Loan Repayment Calculator, Flash Card Math Game, Database Input Screen, Statistics Calculator, Tic-Tac-Toe Game, Capital City Quiz, Information Tracker (with plotting), Line, Bar and Pie charts, a version of the first video game ever – Pong, and a digital Telephone Directory. This curriculum has been used in college and universities for over two decades. It is now available as an instructor-led or self-study programming tutorial.